or over 100 years, customers have depended on Burroughs for outstanding service delivery. Burroughs offers market-leading onsite maintenance and remote support nationwide. In addition to supporting proprietary solutions, Burroughs provides the same exceptional service on third-party ATM, teller cash automation, safes, check & document processing, data centers, retail vault, kiosk and self-service solutions throughout the US and Puerto Rico. 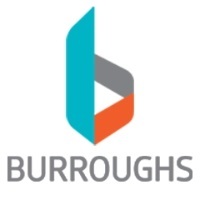 As a result of acquisition and organic growth, Burroughs expanded its maintenance services footprint to offer one of the nation’s largest maintenance and support organizations with more than 700 Customer Service Engineers delivering comprehensive and customized maintenance coverage coast-to-coast.